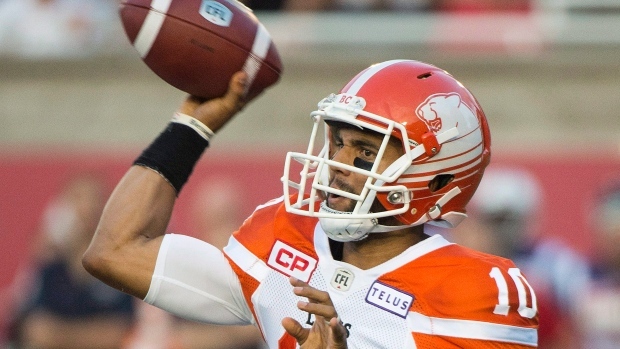 Quarterback Jonathon Jennings has agreed to re-work his contract with the B.C. Lions. TSN's Farhan Lalji reports that Jennings' new deal is still for one year running through the 2018 season and was adjusted to provide more cap flexibility to improve the Lions' offensive line. The Lions signed Jennings to a two-year contract extension last March after he moved up the depth chart to the No. 1 job in 2016. Last season, the 25-year-old out of Saginaw Valley State completed 66 per cent of his passes for 3,639 yards with 16 touchdowns against 19 interceptions.